Swiss-Asia Financial Services has announced the launch of its first cryptocurrency fund, in Singapore. The Kryptos Alpha Fund is an absolute return cryptocurrency hedge fund aiming to maximize returns while minimizing drawdowns. The fund will be managed by Zhuang Sheng Quan, co-founder of Kryptos Associates, a company specializing in providing technology solutions for cryptocurrency trading. The launch of Kryptos Alpha Fund occurs at an interesting time as crypto fund launches gather pace globally. 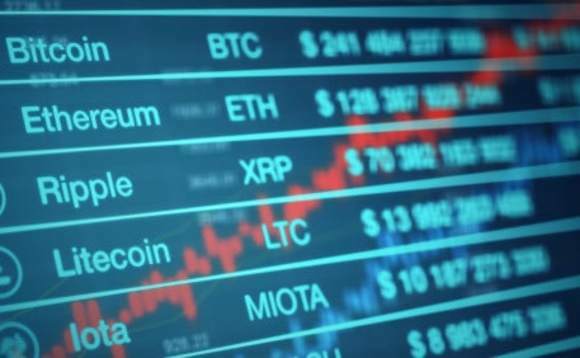 According to research from Reuters, an estimated record global number of 226 funds are trading Crypto Assets as of February 2018, with assets under management currently standing between 4.5 and 5 billion USD. Steve Knabl, COO and managing partner of Swiss-Asia Financial Services said: We’re glad to have Kryptos Associates on board. Singapore’s regulatory environment has embraced cryptocurrencies, so we see a lot of opportunities to grow in this space. “With growing investor demand as well, we expect to see the number of crypto funds rise in Singapore, transforming it into a crypto hub in the Asia-Pac region. Swiss-Asia provides start-up managers the back and middle office support they need, to allow them to focus on delivering returns. The fund’s launch is timely as Swiss-Asia Financial Services hosts its semi-annual Capital Introduction event in Singapore on 25 April. This event presents an opportunity for accredited investors to meet Sheng Quan and learn more about the fund strategy.